Sibwara 2 years, 1 month ago. Android Nougat 7.1 ROM, Xiaomi Mi 5s LineageOS 14.1 has now arrived via an UNOFFICIAL build. If you want some more LineageOS ROM builds for other devices then stay tuned the Lineage OS 14.1 ROM collection page. 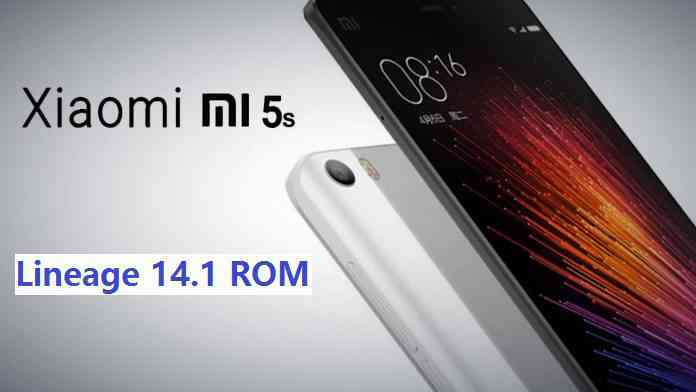 This Xiaomi Mi5s Lineage OS 14.1 ROM is brought to you by developer xiaobai112220. If you like xiaobai112220’s work and want the dev to keep up this good work then please consider a donation to xiaobai112220. THIS IS AN INITIAL BUILD WHICH MAY NOT BOOT AT ALL. HAVE A BACKUP BEFORE FLASHING THIS AND TRY AT YOUR OWN RISK. Installing a custom ROM on a Mi 5s (capricorn) requires the bootloader to be unlocked on the Mi 5s (capricorn) phone, which may VOID your warranty and may delete all your data. Before proceeding further you may consider backup all data on the phone. You are the only person doing changes to your phone and I cannot be held responsible for the mistakes done by you. – Here is theTWRP update guide for the Mi 5s (capricorn). This TWRP recovery guide requires the bootloader to be unlocked on the Mi 5s (capricorn). Download and Copy the GApps and Mi5s LineageOS 14.1 ROM ZIP to your phone. First flash the Mi 5s Lineage OS 14.1 ROM ZIP from device. Then flash the GApps zip from your device memory. Reboot and Enjoy the Nougat 7.1 Lineage OS 14.1 ROM for Mi 5s (capricorn). Copy the latest Mi 5s Lineage OS 14.1 ROM ZIP file to your phone. Stay tuned or Subscribe to the Mi 5s (capricorn) forum For other Android Nougat ROMs, Lineage OS 14.1 ROMs, other ROMs and all other device specific topics. – I can’t set the button actions properly, as there is no menu item for the “Back” button. I like to have “Back” on the left, and “Menu” on the right of the “Home” button. Besides these small issues, Lineage 14.1 seems to be working perfectly. Excellent work! Exactly what I was looking for! Hi Albert, you might know that the SU binary is not accessible on the Lineage ROM by default (at least for user access) from now onwards. Lineage team has decided not to put this onto the ROM but a developer can make it to be there in the ROM out-of-box by building the Lineage ROM with WITH_SU=true environment variable. See the Lineage 14.1 ROOT enable guide for more info. Recently I have updated the page. Please follow the SuperSU flashing for Lineage 14.1 and see if that helps you to enable ROOT or not. Touch: I have to use 3 fingers to zoom in / zoom out. If anyone knows how to fix it, please share.